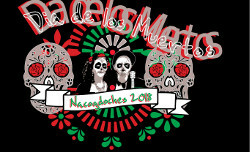 NACOGDOCHES, Texas - A number of exciting events, including an art auction, a film screening and the popular community altar display, will take place at The Cole Art Center @ The Old Opera House in conjunction with the annual Día de los Muertos Fiesta on Saturday, Nov. 3, in downtown Nacogdoches. Other College of Fine Arts students and organizations at Stephen F. Austin State University will also participate in the fiesta. Hosted by the Nacogdoches Public Library, the main fiesta will take place around the Convention and Visitor's Bureau and will feature food, fun and free entertainment. The Día de los Muertos observance is considered a cheerful celebration of life, honoring the souls of the deceased. Día de los Muertos is a Mexican term derived from the Roman Catholic All Saints' and All Souls' days, traditionally observed Nov. 1 and 2. An array of activities, ranging from decorating graves to creating home altars, typically highlight the celebration that can last for days. The Día de los Muertos, or Day of the Dead, Fiesta is from 4 to 8 p.m. Nov. 3, but the Cole Art Center will open at 10 a.m. that day with a full slate of events planned, according to Alisa Steed, events coordinator for SFA art galleries. The gallery is also bringing back the popular community altar display and art auction that had been highlights of the Día de los Muertos Fiesta in previous years. "A poll last year after the fiesta indicated that many attendees missed the altars and the art auction," Steed said. "So, the gallery will have a full schedule of events going on before and during the main fiesta." Day of the Dead altars celebrate the lives of those who have passed on. The community altar, where visitors can share a memory or photo of a departed loved one, will be displayed in front of the gallery through Nov. 16. A free screening of the film "Coco" will be at 2 p.m. on Nov. 3. 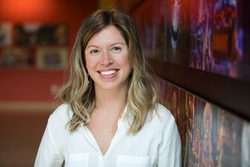 An acquaintance of Dr. Jeana Paul-Urena, chair of the SFA Department of Languages, Cultures and Communication, is employed by Pixar and was involved in the production of "Coco." Pixar's Courtney Kent, who served as art director of the film, will be in attendance to introduce and discuss the film and take questions. She will talk about her production role and the importance of culture surrounding the Day of the Dead theme. Kent also worked on "Cars," "Brave," "Up" and "Inside Out." Day of the Dead-themed art pieces created by local artists and students will be auctioned. Silent bidding begins on Thursday, Nov. 1, and concludes at the end of the day on Nov. 3. Winners do not have to be present to win. They will be contacted the following week. The performance group "Arte Vivo" from Costa Rica will produce a vivid Day of the Dead tableau based on the film "Coco" that incorporates live people, including models that remain within the tableau as well as audience participants that leave and enter. Jeana Paul-Urena and Juan-Carlos Urena will also perform in the gallery starting at 4:30 p.m. The Friends of the Visual Art will man a booth in the main fiesta area where official festival four-color T-shirts will be sold for $20. Designed by SFA School of Art graduate Uriel Vega, the T-shirt artwork was taken from a photo by Bill Nieberding of Linda Mock and Pat Dolan, last year's Día de los Muertos Fiesta costume contest winners. Ceramic bowls made by art professor Piero Fenci's students will also be for sale. Sponsoring art events for the fiesta are R&K Distributing and William Arscott. The College of Fine Arts will register fiesta attendees to win tickets to the University Series performance of the Villalobos Brothers. The three brothers use their violins and voices to redefine contemporary Mexican music, masterfully blending elements of jazz, rock and Mexican folk. The concert, sponsored by BancorpSouth, is at 7:30 p.m. May 9 in W.M. Turner Auditorium. SFA theatre students will be offering sugar skull face painting and selling crafts and bundtlet cakes with proceeds benefiting students going on the biennial study abroad trip to perform at the Edinburgh Festival Fringe next August. The Cole Art Center is located at 329 E. Main St. For more information, call (936) 468-6557. For information about the fiesta, contact Crystal Hicks, Nacogdoches Public Library, at (936) 559-2944 or hicksc@ci.nacogdoches.tx.us.